There’s little doubt just how much Vietnam has changed since the conflict threatened to tear the country apart over 19 bloody years. But like all places around the world that have undergone the boot of suppression and hardship, devastated by war or ravaged by a tyrannical regime, what rises out of the ashes is often a symbol of hope. 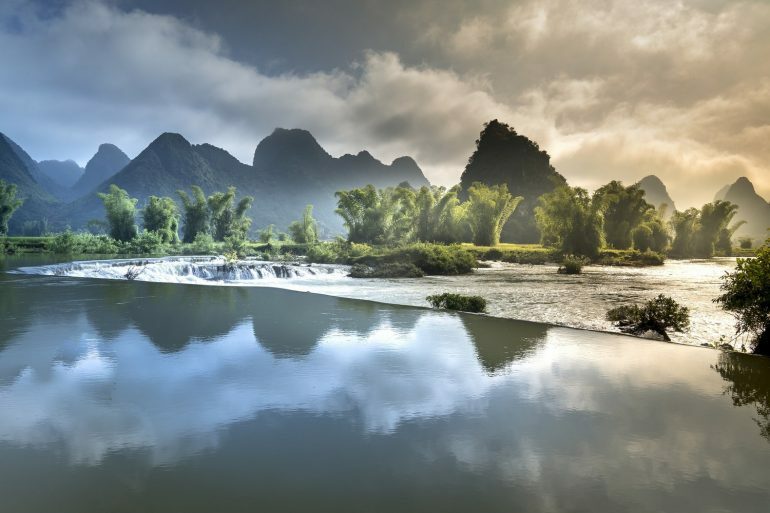 Vietnam’s natural beauty draws in the crowds. Now attracting more visitors than ever before, Vietnam is the very definition of a phoenix from the flames. And there’s much more to the country than just the usual tourist hot-spots. In a land this culturally diverse, you’re going to come across plenty of the weird and wonderful too. Here we take a look at five alternative attractions you can enjoy during your visit. Just make sure to place your order for a Vietnam visa before your holiday and avoid complications on the border! You might have seen this one in the news recently as it has only just opened, as part of a 2 billion US dollar regeneration programme in the region. What appears to be two giant stone hands holding a golden bridge are, in fact, made from fiberglass. The bridge was built to entice more tourists to the area, a feat in which it is already succeeding. 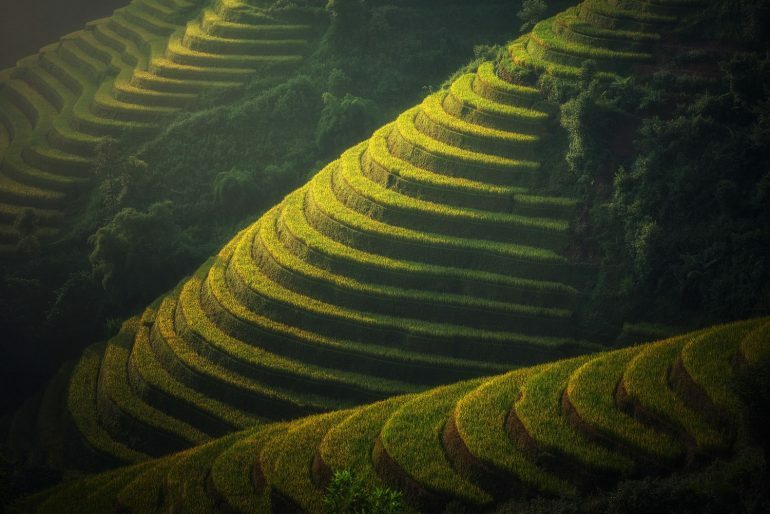 The rice plantations of Vietnam are a more traditional tourist attraction. Located in the Bà Nà Hills resort close to Da Nang, the bridge is meant to convey the feeling of “walking along a thread stretching through the hands of God.” Judge for yourself if it achieves this sensation, but it’s certainly something you won’t see every day! Nestled in the Marble Mountains also close to Da Nang, you’ll find many unique carvings and sculptures crafted from the rock. In spite of the region being generally popular with tourists, there is one place in particular that has been terrifying and delighting visitors in equal measure since it was first opened to the public in 2006. 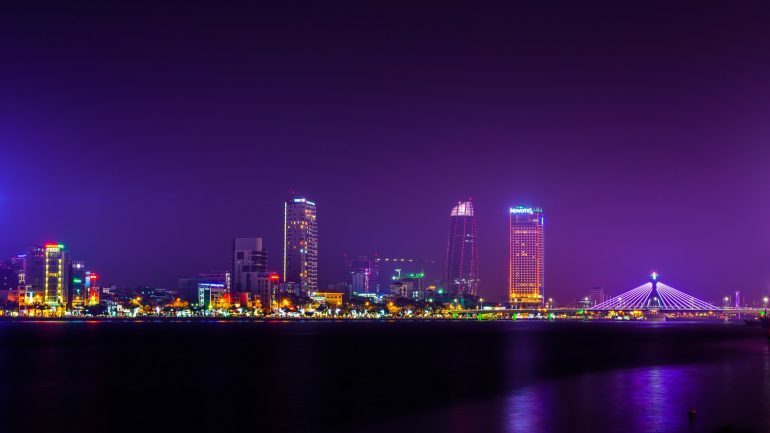 Da Nang at night – plenty of weird stuff to be found. The name Am Phu literally translates as “hell,” and if the golden bridge makes you feel like you’re in gods’ hands, this cave might well make you feel you’re in the devils. The dramatic rock formations and near-black caverns have been decorated with statues and grotesque sculptures to enhance the feeling that you’re travelling through the underworld. It’s very weird indeed – and not for the faint of heart! There must be thousands of strange things to experience in Vietnam’s bustling and chaotic capital, but perhaps none more so than its famous train street. It does exactly what it says on the tin – a narrow street with a railway line running down the middle. Twice a day a train will rattle down this bizarre route, so close to people’s front doors, it must feel like a locomotive is coming into your hallway! You’d never get something like this in a western country without a total uproar, but nonetheless, a train does indeed roar past at three and seven pm every day. It’s astounding how people can live there, casually lifting their kids out of the way of an onrushing train, going about their daily business as if it’s all perfectly normal. But to them of course – it really is! 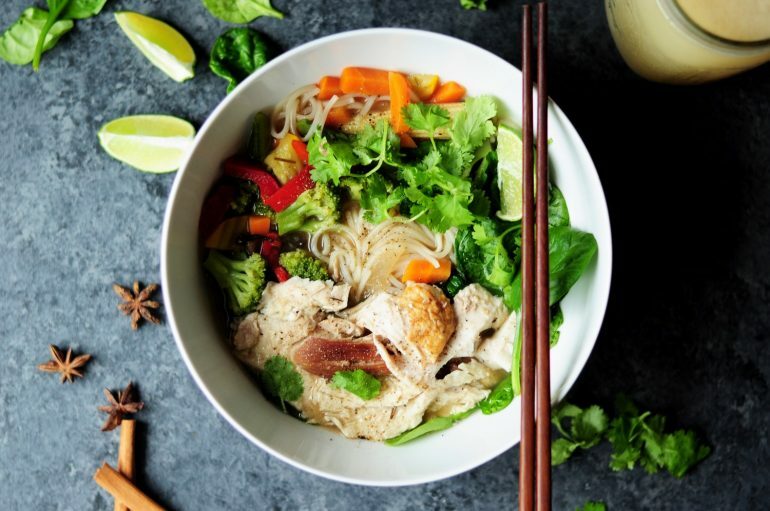 Vietnamese food is up there with the finest in Southeast Asia – just don’t become food yourself! Since the park closed only a few years after it opened in 2004, nature has slowly taken it back. This includes having a crocodile population – although the latest reports are they have all been removed to proper facilities. 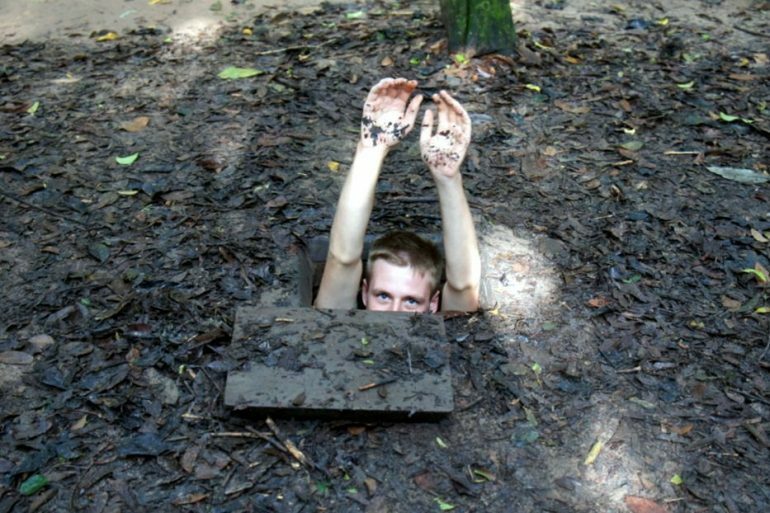 It’s a creepy, desolate, word-of-mouth adrenaline rush the likes of which you shouldn’t miss – but remember to stay out of the water just in case. 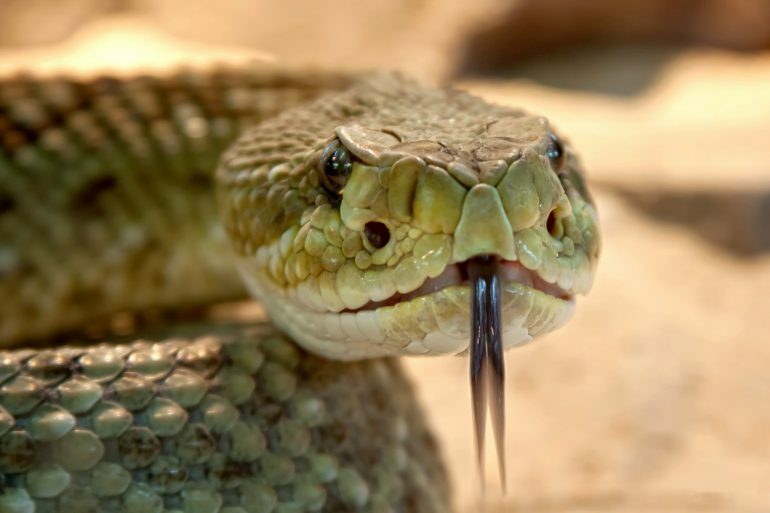 Another attraction not for the squeamish is the aptly dubbed Snake Village located on Hanoi’s outskirts. It’s not actually teaming with the reptiles because they’ve all been captured awaiting their fates in restaurant kitchens. It’s here that you can sample the delights and delicacies of eating and drinking these slithery terror-worms, as they’re on the menu in almost every local establishment. You wouldn’t look happy if you were about to be eaten either. To give it its proper name, Lệ Mật is home to several interesting joints that offer snake in almost every which way you could try it. This includes swallowing the poor creature’s still beating heart in a glass of blood and vodka. The body of the hapless thing is then whipped up into a plethora of culinary options, and not a morsel is wasted. Undoubtedly the weirdest dining experience ever. Countries in Southeast Asia are generally pretty relaxed when it comes to letting visitors in, but you’ll invariably need to sort a visa out before you arrive. 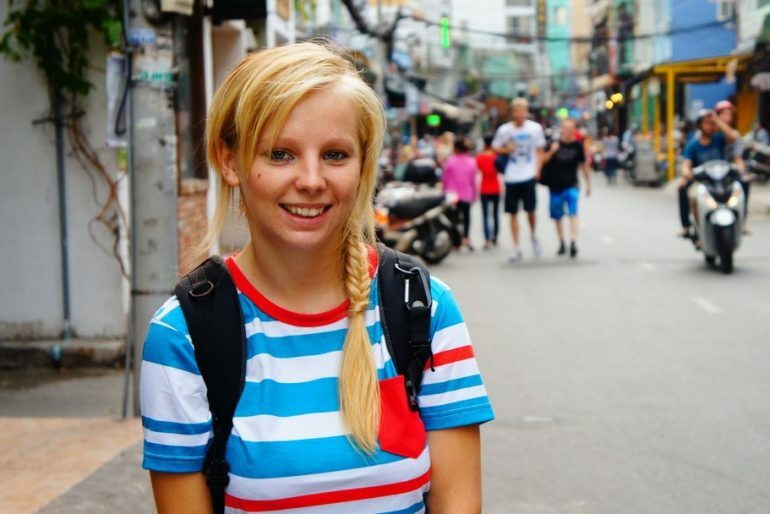 Vietnam is no exception, so before you go running off to explore some of these twisted places, hit up E-visums.co.uk and get legal. Once you’re in this astoundingly beautiful, friendly (and extremely weird) country, you’re likely to never want to leave. And having come so far in a relatively short space of time, you should catch it now before it changes again in the beating of a snake’s heart. Have you been to Vietnam? What was the weirdest attraction or experience of your trip? I’ve heard so much about that awesome bridge already even though it just opened, but those small holes make me nervous. They’re so tiny! Looks like some weird experience; snake village sounds fun. We loved Vietnam. So much to offer. Digging this post Agness.